Lease Equity was introduced to PRG (Jamie Oliver’s Pacific Restaurant Group) through their commercial relationship with CBUS and their 140william retail precinct. 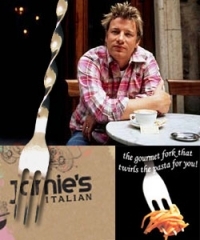 From the outset Jim Tsagalis and his team have worked with the greatest degree of professionalism, ensuring that our first restaurant venture in Western Australia, Jamie’s Italian, was appropriately located and key commercial contacts were introduced. In fact our lead construction contractor came as a result of an introduction by Jim. PRG’s relationship with Lease Equity continues to develop as we also further restaurant opportunities under the guidance of Jim and his team. We would have no hesitation in recommending Lease Equity to any potential lessee or lessor given our experience from day one. Beck Advisory is a Boutique Asset Management company specialising in the development of commercial property throughout Western Australia. 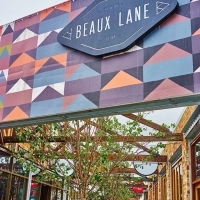 Beaux Lane was initiated by us as part of an urban renewal project and we appointed Lease Equity to undertake the leasing and related retail consultancy of the Lane. From the outset, Lease Equity’s advice was consistent with the prevailing market conditions which has greatly assisted in establishing a range of high quality and diverse tenants to this new suburban development. Lease Equity’s strategic and considered approach has greatly assisted the activation of the lane resulting in an iconic location being created. The introduction of venues such as Health Freak Café, Little B and Grab A Yabby along with a further array of marketing leading operators have assisted in creating a destination which compliments and expands on the existing Mount Lawley hospitality precinct. We consider the tenancy mix to be contemporary and we hold in high regard the contribution of Lease Equity towards establishing Beaux Lane as a vibrant urban renewal hub. Lease Equity was engaged to assist Cbus Property in repositioning the one40 William Street in Perth Western Australia. The development is 48,544.80 sqm incorporating 4,544.8 sqm of ground floor. The project was developed and launched in 2012 and the retail component required a significant repositioning. Lease Equity was engaged as part of the consultant team to reposition the asset and provide strategic advice in relation to the tenancy mix and master planning. The project had many significant challenges. The advice provided by Lease Equity consisted of completely repositioning the asset from a fashion focussed development to a food and beverage and youth focussed centre. The total repositioning included introducing some flagship tenancies and totally reconfiguring a number of the buildings to accommodate these flagships. The master plan centred upon creating an “urban village” destination in the City made up of best of class operators. The result has been an outstanding success having introduced some of the World and Australia’s best operators. These include the marquee Jamie’s Italian Restaurant, Perth’s first Ribs & Burgers outlet, Bam Bam Boo, a large scale tavern and a number of other firsts for the Perth market. This has resulted in one40 becoming a landmark destination. We consider Lease Equity’s relationship with retailers both food and beverage to be amongst the best we have encountered. The thoughtful master planning and execution of the plan was very focussed, consistent and unrelenting. We continue our relationship with Lease Equity as one of the leading providers of retail property services that we deal with. We are very pleased with the outcome at one40 and consider Lease Equity to have been an integral part of its success. The Lease Equity team made a significant contribution to redevelopment of the iconic Allendale Square through their market knowledge, industry connections and delivering on the hard work that is needed to secure tenants in a challenging retail market. The Underground will become one of Perth’s premier food precincts and securing high calibre tenants for the new restaurants on St Georges Terrace has set Allendale Square apart from all other Perth CBD office buildings. I have been a client of Lease Equity since its inception. The impact of their involvement is almost immeasurable. Jim Tsagalis, the Managing Director, is very approachable and has always given me sound advice in every area of finance, property acquisition, property disposal and advice regarding loans. He is completely trustworthy and brings a level of strategic and tactical thinking rarely seen in the field. The degree of professionalism shown by the other staff is surely the envy of other firms working in this area. I can honestly say that my experience with Lease Equity has taken most of the stress out of my involvement as an owner of Commercial Property. I want to thank Jim Tsagalis of Lease Equity for all the good work he has done for us in the past and in finding a good tenant for us in these difficult rental times. I know Jim travelled to the east coast on many occasions to find a tenant and always kept me up to date on a potential tenant. After much work on Jim’s part, a good tenant has been found. I am grateful for Jim and finding and vetting a tenant for me and to Lease Equity for managing the property in such a professional manner. I cannot value their professionalism enough. We write to express our sincere appreciation of your efforts in bringing the sale of the above property to a successful conclusion following a very strategic and relevant Public Auction campaign. As you are aware we sought advice from a number of Agents, however it became apparent from the advice received that Lease Equity was clearly in touch with the market, the active investors within our asset class and had the capabilities to deliver on the marketing recommendations presented. Your advice and ability to communicate the current state of play in the retail market was of great assistance to us in making the decision to sell this asset, which we have held for almost 40 years. The result achieved exceeded our expectations and is a reflection of your strong work ethic & professionalism throughout the marketing campaign. We would have no hesitation in recommending Lease Equity and would be happy to convey this to any party looking to engage your services. As a first time shopping centre developer the insights and in-depth knowledge of shopping centre development and management provided by Lease Equity was invaluable. I would have great confidence in working with the Lease Equity team in the future, and would have no hesitation in recommending Lease Equity. We are very pleased to acknowledge the significant positive impact Lease Equity brought to our portfolio upon appointment as exclusive management and leasing agent. Lease Equity’s support during the transitional period was handled with the personalised involvement of not only the property manager, but other key management personnel including the managing director. It was refreshing to be engaged with this level of professionalism. Our only regret is not having made this appointment sooner given the outstanding level of service which in our experience will no doubt equate to an increasing value in our assets and growth of the portfolio. Beck Advisory is a Development and Asset Management company specialising in commercial property throughout Western Australia. The Cloisters development incorporates 30,000sqm of office space (consisting of Cloisters QBE House – 19,000sqm and Cloisters Hay Street Tower – 11,000sqm) and 2,273sqm of retail. The retail component of Cloisters has undergone a complete refurbishment including a widening and realignment of the malls to provide a consistent north-south thoroughfare for pedestrians. Lease Equity was appointed on behalf of The Perth Diocesan Trustees to undertake the master planning, retail leasing and related consultancy for the retail component of the development. 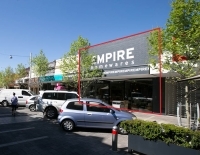 Lease Equity’s strategy took into consideration the prevailing market conditions at the time and recommended a repositioning of Cloisters Retail to a market pitch that substantially enhanced the previous retail mix and added a level of sophistication commiserate with the adjoining office development. Whilst this was ambitious, Lease Equity was confident that it could fully execute its leasing strategy. A number of significant leasing transactions were conducted including the introduction of Perth’s first Roll’d outlet, Keystone Group’s Chophouse, which (to accommodate this tenancy) required a substantial reconfiguration of the original master plan and a number of other market-leading operators. The end tenancy mix has resulted in an iconic destination being created. We consider the retail tenancy mix of Cloisters to be amongst the strongest in Perth and certainly sits above a number of its competitors. We attribute much of the success of Cloisters Retail to Lease Equity’s involvement. Lease Equity is the leading organisation in Perth for Retail Leasing and Development; the results achieved justifiably support this statement. Thank you for all your help over the last three years leasing an office space in Trinity Arcade. I felt that the service I received was incredible. Lease Equity provided leasing advice in the planning and delivery of the retail component at Brookfield Place Perth. They demonstrated exceptional commitment and enthusiasm in the 5 years they were appointed on the development. They provided advice in the preparation of the retail mix, leasing strategy and feasibility and also worked on the retail leasing campaign and final delivery of the precinct. Brookfield Place Perth has over 86,000m2 of Premium grade commercial space and contains over 40 retail units including high-end Food and Beverage, Fashion outlets, a Café Court, Service Retail, Gymnasium and a Child Care Centre. The development has reorientated the Perth CBD and is a key asset in the Brookfield global portfolio. Lease Equity, at all times, provided a thorough understanding of the development’s objectives and provided consistent and focused advice to assist in achieving the retail environment at Brookfield Place Perth. The Atzemis Group is a family owned company specialising in real estate investment. We own or control sub-regional shopping centres, CBD Hotels, have undertaken land sub-divisions, prime CBD retail properties and suburban neighbourhood shopping centres. We have been involved with members of the Lease Equity team for over 20 years and used their services since the Company’s inception. We have the highest regard for their ability to understand all phases of a property’s life cycle including development and complex property dealings across the spectrum of all asset types and classes. They have acted on our behalf as development managers, project leasing and property managers. They have also sold properties in excess of $50M of real estate on our behalf, dealing with complex real estate transactions resulting in outstanding outcomes for us. We believe that their skills are world class and have significantly assisted in growing our asset base and we look forward to many more years of continued support from them. I have been involved in Property Development for the past 25 years, having developed Bulky Goods Centres, Office Developments and Retails Complexes. We engaged Lease Equity to undertake the master planning, leasing and ultimate property management for the Haynes Shopping Centre. The master planning, predictive modelling and analyses of the development potential for our site has been exceptional. Lease Equity have added significant value on our behalf, including negotiating with key national and international tenants through to detailed pre-development management and start-up of the Centre. Their outcomes have exceeded our expectations. We have as a result engaged Lease Equity to undertake a similar function for us at the soon to be developed Caversham Village Shopping Centre located at “Taylor Private Estate”. ISPT is one of Australia’s largest and best performing unlisted property funds with over $7 billion of funds under management. In Western Australia the fund owns a number of properties including Forrest Chase Shopping Centre in the Perth CBD (housing Myer and a further 50 specialty tenants), and enex100 which is Perth’s premier CBD retail and commercial property. enex100 is anchored by Woolworths and JB HiFi, features an up-market Food Court, and showcases a number of Australia’s leading fashion designers incorporating 45 specialty stores and over 30,000 m² of office space in the tower. Despite having in-house leasing expertise, ISPT have engaged Lease Equity to lease both Forrest Chase and enex100. Lease Equity’s involvement in enex100 was from conception in 2006 of the development through master-planning and identifying and securing retail tenants. Lease Equity continues its role as leasing agents to this day. Lease Equity provide us with the exceptional property advice which is particularly relevant locally, but also reflects a strong knowledge of the national market. They have consistently provided us with timely and accurate advice and we have no hesitation in advocating their expertise in relation to our Perth CBD retail properties. From the first day of Jim’s involvement it has been a pleasure to deal with such an honest, straight forward and professional individual. His knowledge of the retail market locally and nationally cannot be surpassed and his relationship with both owners and tenants on a local and national basis is second to none. On a personal note over the period of our involvement I am pleased to say that Jim Tsagalis has become one of my Perth friends. I would have no hesitation recommending him for any assignment both large or small where you require personal and professional representation. 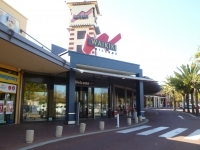 Lease Equity were involved in the master planning and project leasing of Waikiki Village Shopping Centre on behalf of Westgate Property Investments when it was first developed. Whilst this occurred prior to my engagement at Westgate, I understand that the Centre was fully leased with a tenancy mix in keeping with our investment criteria, and provided an outstanding mix of tenants. We subsequently undertook to do a minor redevelopment of the centre and returned to Lease Equity to again project lease this on our behalf. They pre-committed all outlets in the redeveloped centre and provided invaluable advice in respect of type of tenant, commercial terms and general property advice that enhanced the value of the shopping centre. We have no hesitation in recommending Lease Equity as being thoroughly conversant with shopping centre leasing and asset management. I have looked after an investment property in the central business area of Perth for many years. Unfortunately, over many years, I have not been able to attract a good tenant. When the premises became vacant, Lease Equity were engaged to find a reliable tenant. Not only did they find an International tenant but professionally negotiated an excellent lease. So professional were all my dealings with them that they have been engaged to manage the property for me. Their management has been first class and the monthly reports have allowed our investors to be fully informed of the management of the property. I highly recommend Lease Equity for any leasing and property management. My association with Lease Equity has been a happy one, and their advice on adding value and innovative approach to asset management has been outstanding. Hence I have no hesitation in recommending their services to anyone with real estate interests. I have always found their management team easily contactable and pleasant to deal with. They are also quick and efficient. Having my properties under one manager has the advantage of not constantly having to re-explain the history of my properties to different or changing managers which I had experienced before. I am intending to continue my professional association with Lease Equity for many years to come. Our family investment companies own a number of properties including two in the Hay St Mall. Whilst we manage these properties ourselves, we use Lease Equity’s services for providing strategic advice and undertaking the leasing. We have dealt with Jim Tsagalis for many years and have always found him to be an excellent strategic thinker who would work tirelessly to achieve an outcome far better then we had believed could be achieved. Jim has introduced International and National tenants to our properties on commercial terms which have set new benchmarks for the Perth CBD. Prior to Jim’s re-entry into the Perth CBD retail leasing market by way of Lease Equity the CBD lacked a person or agency who truly understood the specific requirements of CBD retailing and as a result retail leasing took a serious downturn for several years. Jim’s reintroduction to CBD leasing on forming Lease Equity coincided with the reinvigoration of the City and a number of significant new leasing deals in the Perth CBD. Most of these had Lease Equity’s inputs due to Jim’s ability to market and think out of the box and as a result he has successfully introduced new flagship National and International branded tenants into the CBD. We enthusiastically support Lease Equity and would be happy to speak first hand to any group if desired. As the founder and Managing Director of Gelare International, I have been involved in property and commercial leasing throughout Australia, Asia and the USA over the past two decades. We have now established 35 outlets and several offices in those countries. I was introduced to Lease Equity when leasing a new Gelare store in Perth a couple of years ago. I was extremely impressed by their professionalism and knowledge of the market that I appointed them to lease and manage my own retail property. With their recommendation to subdivide the 240 square metre premises into three shops, Lease Equity achieved maximum possible rents, excellent lease terms and a considerable increase in the value of my property which I sold a few months later. Due to the nature of my business I am constantly involved in dealing with various property companies. Lease Equity has been a World Class firm in terms of their superior knowledge of the market, adding value, integrity, loyalty and delivering results. I take this opportunity to express my appreciation to the Lease Equity team and look forward to our continuing working relationship in the years to come. Our involvement with Lease Equity goes back to 2006 when we appointed the company to undertake a tenancy review of one of our Neighbourhood Shopping Centres. Lease Equity was appointed leasing agents and subsequently managing agents of the centre. The team at Lease Equity has utilised their extensive retail knowledge to enhance the value of the property through the implementation of an effective tenancy mix strategy and minimisation of expenses without having a detrimental effect on the asset. The advice offered by this dynamic young company shows it is well in tune with the latest trends. The company endeavours to ensure that the work they do today, will make a positive impact tomorrow. Lease Equity is able to keep pace with the ever changing challenges that face the retail and shopping centre environments and we welcome their continued involvement with our projects. The Elleo Group began in hospitality in 2009 with it’s first venture People Café Espresso. 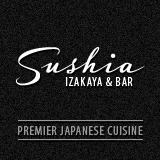 Since then Elleo Group has opened an additional 5 People Café Espresso’s, 10 Japanese sushi bars under the banner Sushia, and two flagship restaurants in Perth and Sydney named Sushia Izakaya & Bar. When I first decided to move into Perth, I met with a couple of leasing executives. Jim however stood out from the crowd, given his retail knowledge and access to premium sites around Perth CBD as well as Western Australia. I had heard of Jim through eastern states retailers, due to his retail exposure throughout Australia. Due to Lease Equity’s national and international retail knowledge and contacts, I had faith that any location offered to me would be well precincted and contain comparable adjacencies. I felt that Lease Equity had an understanding of the mechanisms behind the hospitality industry. This gave me confidence that the sites offered to me by Jim and Lease Equity were of potential benefit to me and my brand. Since meeting with Jim under a year ago, I have signed 3 leases with him. Jim has been the only leasing agent I have signed with in Perth, and I am very happy to say we now have a trusting business relationship and friendship. Lease Equity were engaged to provide consultative advice and project lease 255 Murray Street Mall. They set new benchmarks for properties on the Murray Street Mall and introduced two international tenants on long term Leases, and on other financial terms in excess of our expectations. Lease Equity is deservedly regarded as one of the leading retail leasing and property management firms in Western Australia. On behalf of the owners of the Secret Harbour Shopping Centre, I would like to congratulate Lease Equity on the work your firm has undertaken at Secret Harbour Shopping Centre. From the initial feasibility to project leasing and the management of the shopping centre, your staff have displayed great professionalism and achieved outstanding results. The centre is fully leased at substantially greater rentals than those anticipated and achieved a tenancy mix far superior to that of comparable sized shopping centres. We will have no hesitation in using Lease Equity again in the future. By way of background Primewest Management Ltd is a well recognised wholesaler syndicator and developer dealing in realty and owns, and controls and manages a portfolio of over $850million in commercial, bulky goods and retail properties throughout Australia. Lease Equity has always provided advice based on sound property management and leasing fundamentals. They have also been prepared to offer advice on how to enhance the value of our assets including offering predictive advice in relation to market trends. We have no hesitation in recommending Lease Equity and should you require any further assurances in this regard, please do not hesitate to contact us directly.